What does it [i.e., the equality clause] mean? Our best guess is that the clause simply asserts the proposition that all peoples who identify themselves as one—that is, those who identify themselves as a society, nation, or state for action in history—are equal to others who have likewise identified themselves… The Declaration asserts that Americans are equal to, say, the British and French…. 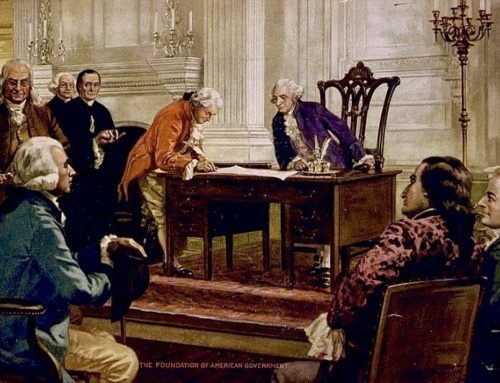 Specifically, the drafters of the Declaration are maintaining that the Americans are equal to the British and are, therefore, as free as the British to establish a form of government [of their own choosing]. In Kendall’s interpretation, the equality symbol of the authors of the Declaration is an equality-of-societies symbol employed for the purpose of justifying separation by the American colonies. The Lincolnian heresy lies in “internalizing” the symbol, and thereby perverting it into a symbol for domestic egalitarianism and leveling. Moreover, argued Kendall, the legacy of the Lincolnian heresy gives birth to the modern liberal concept that it is the responsibility of the central national government to promote leveling, and in particular, it is the solemn duty of the President to lead the attack. It is a succession of strong Presidents, each looking more deeply into the ultimate meaning of an American tradition rooted in leveling, which will launch the nation on a continuing series of missions. These missions will entail marshaling majoritarian mandates for the long-term purpose of bringing us finally to the perfected egalitarian society. Those opposing the egalitarian New Jerusalem will have to be labeled for what they are—selfish recalcitrants and obstructionists, and with the unrelenting pressure of exposure and “education” their resistance can be overcome. An integral part of liberal egalitarianism is unshakable confidence in majoritarianism. Majoritarianism is integral to a leveling philosophy, for it itself is rooted in the concept of political equality—one-man, one-vote. As Kendall viewed it, in modern liberal hands an additional corollary has been added to the majoritarian concept which demands the abolition of all obstacles to the instant expression of the majority will. In specific terms of the American experience, this means the elimination of the seniority system, the filibuster, staggered elections, the amending process, non-programmed political parties, and in general, anything that inhibits instant expression of majority preferences. In fine, liberal ideology seeks to establish a system based upon plebiscitary mandates, and it is a cardinal tenet of liberal ideology that if the majority will can be unshackled, it will vote in an egalitarian society. Thus, in Kendall’s analysis, all liberal thinking ultimately returns to the touchstone of leveling. Kendall concluded in 1966 he was “dead wrong” in his 1941 conclusion in John Locke and The Doctrine of Majority-Rule that the Framers were concerned about inalienable, abstract, natural rights. 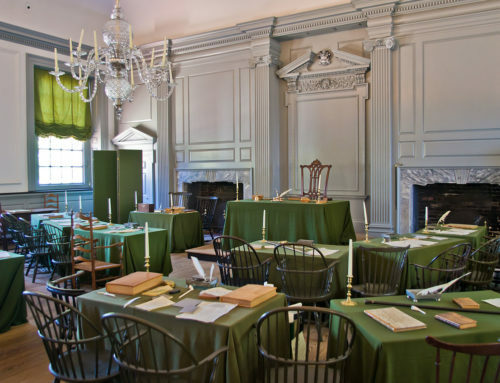 It is in Kendall’s analysis of the political thinking of the Framers of the American Constitution that we find his final articulation of the meaning of American conservatism. His last and major work, The Basic Symbols of the American Political Tradition, which he co-authored with his close friend, George W. Carey, is the single best expression we have of Kendall’s ideas on the Framers. In reading all of Kendall’s works, it is clear that this book is the culmination of years of reading, reflection, and thought. Have we not already seen enough of the fallacy and extravagance of those idle theories which have amused us with promises of an exemption from the imperfections, weaknesses, and evils incident to society in every shape? Is it not time to awake from the deceitful dream of a golden age and to adopt as a practical maxim for the direction of our political conduct that we, as well as the other inhabitants of the globe, are yet remote from the happy empire of perfect wisdom and perfect virtue? Where is the standard of perfection to be found? Who will undertake to unite the discordant opinions of a whole community, in the same judgment of it; and to prevail upon one conceited projector to renounce his infallible criterion for the fallible criterion of his more conceited neighbor? I never expect to see a perfect work from imperfect man. The result of the deliberations of all collective bodies must necessarily be a compound, as well of the errors and prejudices, as of the good sense and wisdom, of the individuals of whom they are composed… [A] common bond of amity and union, must as necessarily be a compromise of as many dissimilar interests and inclinations. How can perfection spring from such materials? According to Kendall, the very pen name of Publius is a product of the deliberative process. Kendall considered the controversy concerning who wrote which Federalist paper a “red herring,” and it demonstrated that modern scholarship had missed the point of The Federalist, for the significant point is that Hamilton, Madison, and Jay were not seeking to force their pet theories of government on one another, and on the country as a whole; rather, they were attempting to achieve a consensus of viewpoints through the deliberative process which would contribute to “the safety and happiness of society.” In brief, they were creating the supreme symbol of the American political tradition. I do not like debates—if by a debate we mean the confrontation of two diametrically opposed positions, the trading and parrying of argument and the chalking up of points, in the fashion in which prize-fighters trade and parry blows and chalk up points. I strongly believe that such debates merely confuse issues, that their prevalence in our time is a frightening symptom of a world-wide breakdown of the discussion process, and most important of all, that our only hope lies in rediscovering the art and ethic of discussion as distinguished from debate. Kendall contended that Publius preferred discussion over elections, for the same reasons he preferred it over debate. Elections, which unfortunately have become “the central ritual of American politics,” elicit visions of bitter debates, confrontations between squared-off political antagonists, winners and losers, not-to-be-denied mandates, and the heavy-hand of abstract majoritarianism. In contrast, discussion suggests deliberation, accommodation, moderation, harmony, consensus, and the long-term pursuit of those elusive first principles essential to the well-ordered society. In seeking consensus through the deliberative process, Publius does not lust after unanimity, because in his words, “To have required the unanimous ratification of the thirteen States, would have subjected the essential interests of the whole to the caprice or corruption of a single member. It would have marked a want of foresight in the convention, which our own experience would have rendered inexcusable.” In addition, Publius added, “And the history of every political establishment in which this principle [of unanimity] has prevailed, is a history of impotence, perplexity, and disorder.” Hence, unanimity is rejected as unattainable, impractical, unworkable, and in a word—utopian. Similarly, in Kendall’s interpretation, Publius rejected majoritarianism as antithetical to the deliberative process. In contrast to the deliberative process, which fosters discussion, accommodation, and consensus, the philosophy of majoritarianism demands a losing minority. This minority has lost the “debate” and the “election;” now it must submit to the “mandate” of “majority rule.” Such theories do violence to the deliberative process as conceived by Publius. “Pockets of irredentism” will arise if the majority forces its mandate upon the minority. That is, if the minority is intensely opposed to the mandate, it will dig in its heels, and it will dream of reclaiming its lost cause. In the political theories of Publius and Kendall, this undermines the well-ordered commonwealth, for it contributes to the ripping and tearing of the social fabric. The deliberative process prevents “pockets of irredentism” from forming by stressing at every stage of discussion the importance of adjustment, accommodation, assimilation, and consensus. Moreover, as interpreted by Kendall, Publius opposed majoritarianism because it is abstract and inflexible; therefore, it has no theoretical capacity to deal with the real and fluid problems of “intensity.” Under traditional majoritarian theory, there is an assumed uniformity of commitment on the part of the majority and the minority; there is a presumed equality of conviction. But often, the real world of majority-minority relations is otherwise: In a given situation, the majority may not feel intensely committed to its position, whereas the minority may feel quite intent—or the reverse could be true. In any case, as traditionally conceived, majoritarian theory has no capacity for accommodating that kind of situation; it can only add up raw figures to fifty per cent plus one, and then enforce its mandate. As a consequence, majoritarianism can think only in one-dimensional, quantitative terms, while the real world of majority-minority relations must deal with the multifaceted problems presented by the intensity factor. Only the deliberative process, with its suppleness and flexibility, can accommodate and ameliorate the intensity problem, and thereby avoid pockets of irredentism, which those persons, along with Publius, committed to the well-ordered society wish to avoid. What I do take sides on is government by consensus, which, I repeat, requires of minorities demanding drastic change that they bide their time until they have pleaded their case successfully before the bar of public—not merely majority—opinion…. They must…cool their heels in the ante-room of our basic law until they are admitted to the inner sanctum by a consensus. The equality of opportunity goal, they would say, is unrealistic, impossible to achieve, utopian—and because utopian, dangerous. In order to equalize opportunity in any meaningful way you have, first of all—as clearheaded political philosophers have always seen—to neutralize that great carrier and perpetuator of unequal opportunity, the family, and you can do that, really do it, only by abolishing the family, which we will not let you do because that would be wrong. Similarly, the tradition of Publius rejects the egalitarian implications of the liberal’s “open-society” interpretation of the Bill of Rights, and in particular of the First Amendment. As previously noted, Kendall took issue with the Mill-Popper school, which contends for the equality of ideas, and thus lays the basic theoretical foundation for the unlimited “open society.” That strain of thought need not be re-examined; however, what is worthy of emphasis at this juncture is that Kendall pointed out that Publius never proposed or intended for the Bill of Rights to be interpreted and applied as the contemporary liberal orthodoxy has done. In fine, Publius never intended the Bill of Rights to serve as an egalitarian springboard for the proponents of the “open society.” Kendall (in collaboration with George W. Carey) concluded, “We can only conclude as follows concerning the Bill of Rights and the First Amendment: Their adoption did not alter the mainstream of the American tradition which, as the Preamble and The Federalist would have it, comes down to rule by the deliberate sense of the community.” What did Publius intend by the First Amendment? He intended, argued Kendall, to give each state within its jurisdiction a monopoly on regulating matters encompassed within the Amendment. That is, Publius never intended for the Supreme Court to impose a national standard on all of the states, and he certainly would be shocked to see that development as it has unfolded in this century. 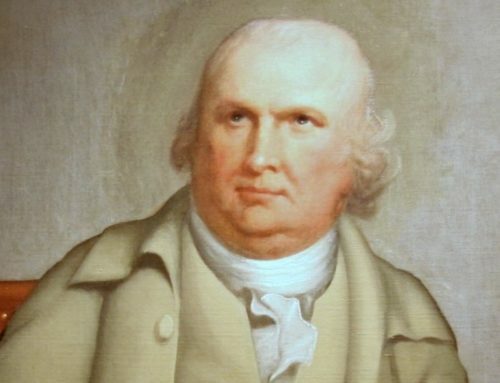 More importantly, Kendall reasoned, the whole thrust of the Madisonian argument for the Bill of Rights was to “bring aboard the Masonite irredentist.” This goes to the supreme symbol of The Federalist—the symbol of the deliberative process. Madison meant that if the Masonites felt strongly on the importance of the Bill of Rights—strong enough to create a pocket of irredentism—then Madison, in the spirit of Publius, argued for accommodation. In sum, Madison never intended by the addition of a Bill of Rights to supersede “the deliberate sense of the community;” rather, he meant to support it by accommodating a minority, and modern liberalism, by wrenching the Bill of Rights out of context and bringing it into the service of egalitarianism, has again weakened the supreme symbol—the deliberative process—of the American political tradition. This essay is the third of a four-part series; the first may be found here and the second here. It is republished with gracious permission from Political Science Reviewer (Fall 1973). Frederick D. Wilhelmsen and Willmoore Kendall, “Cicero and The Politics of The Public Orthodoxy,” The Intercollegiate Review, Vol. 5, No. 2 (Winter, 1968-69), p.98. Willmoore Kendall and George W. Carey, The Basic Symbols of the American Political Tradition (Baton Rouge, L.A.: Louisiana State University Press, 1970), pp.94-95. Willmoore Kendall and George W. Carey, eds., Liberalism Versus Conservatism (Princeton, N.J.: D. Van Nostrand Company, Inc., 1966), pp.66-74. Kendall and Carey, The Basic Symbols of the American Political Tradition, p.94; Kendall and Carey, eds., Liberalism Versus Conservativism, p.68. Kendall and Carey, The Basic Symbols of the American Political Tradition, p.155. Kendall’s favorite example of this liberal position on the presidency was Clinton Rossiter’s The American Presidency (New York: Harcourt, Brace and Company, Inc., 1956). See his review of this work in Willmoore Kendall, The Conservative Affirmation (Chicago: Henry Regnery Company, 1963), p.159. Kendall and Carey, eds., Liberalism Versus Conservativism, p.69. Kendall said that the original and classic expression of twentieth-century liberal majoritarianism is J. Allen Smith’s The Spirit of American Government (Cambridge, M.A. : Harvard University Press, 1965), which was first published in 1912. Kendall found latter-day expressions of liberal majoritarianism in such writers as: James MacGregor Burns, The Deadlock of Democracy: Four Party Politics in America (Englewood Cliffs, N.J.: Prentice-Hall, Inc. 1967); Currin Shields, Democracy and Catholicism in America (New York: McGraw-Hill, Inc., 1958); and David Spitz, Democracy and the Challenge to Power (New York: Columbia University Press, 1958). For Kendall’s reviews of the latter two works, see Willmoore Kendall, The Conservative Affirmation, pp.149, 143. For Kendall’s review of Burns’s work, see Nellie D. Kendall, ed., op. cit., p.282. Nellie D. Kendall, ed., op. cit., p.426. Kendall and Carey, The Basic Symbols of the American Political Tradition, p.99. Also see Nellie D. Kendall, ed., op. cit., p.311. Nellie D. Kendall, ed., op. cit., pp.370-371. Nellie D. Kendall, ed., op. cit., p.468. Kendall and Carey, The Basic Symbols of the American Political Tradition, p.105. From Federalist 63, 1, 37. From Federalist 6, 65, 85. In the second citation, italics in the original; in the third citation, italics added. Nellie D. Kendall, ed., op. cit., pp.408-411. Willmoore Kendall and Mulford Q. Sibley, War and the Use of Force (Cambridge, M.A. : Andover-Harvard Library, 1959), p.5. For representative statements of Kendall’s attitude on elections, see Nellie D. Kendall, ed., op. cit., p.221, n.40; p.225. For Kendall’s position on irredentism, see Nellie D. Kendall, ed., ob. cit., pp.369, 374, 388, n.7; p.502. For Kendall’s analysis of the intensity problem, see Ibid., pp.469-506. Kendall and Carey, The Basic Symbols of the American Political Tradition, p.136. For evidence from The Federalist supporting this conclusion, see Federalist 25 (in particular, concluding two paragraphs), 26, 84. Nellie D. Kendall, ed., op. cit., pp.297, 323. And now, we know the results of the federalist expriment: it is a dismal failure. Where did Kendall, or anyone else, get the idea that Lincoln was some sort of egalitarian freak? “Alexander joins forces with James Madison and John Jay to write a series of essays defending the new United States Constitution, entitled The Federalist Papers. The plan was to write a total of twenty-five essays, the work divided evenly among the three men. In the end, they wrote eighty-five essays, in the span of six months. John Jay got sick after writing five.